9781570767692 | Trafalgar Square Pub, October 11, 2016, cover price $29.95 | About this edition: Horses are a lot like people,” says renowned horseman Mark Rashid. 9781570767685 | Trafalgar Square Pub, July 12, 2016, cover price $17.95 | About this edition: Now a major motion picture, starring John Diehl, Jean Louisa Kelly, and Ben Ashbrook, directed by Paul Krizan! 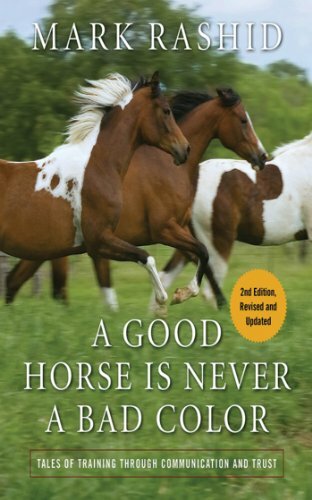 9781616082413 | 2 rev upd edition (Skyhorse Pub Co Inc, July 6, 2011), cover price $24.95 | About this edition: In Horses Never Lie, renowned horse trainer Mark Rashid challenges the conventional wisdom of âalpha leadershipâ and teaches the reader to become a âpassive leaderââa counterpart to the kind of horse other members of a herd choose to associate with and to follow. 9781634502559 | 2 rev upd edition (Skyhorse Pub Co Inc, September 22, 2015), cover price $19.99 | About this edition: Learn to train your horses with compassion and understanding. 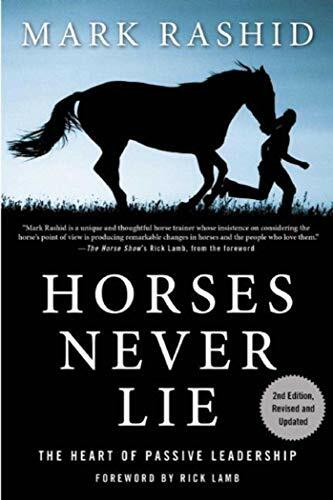 9781555662493 | Johnson Books, May 1, 2000, cover price $17.50 | About this edition: In "Horses Never Lie," acclaimed horse trainer Mark Rashid breaks new ground by challenging the longstanding belief that a person must become the "alpa leader" in order to work with horses. 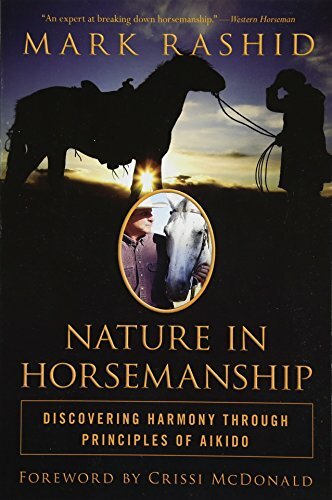 9781602396708 | 1 edition (Skyhorse Pub Co Inc, May 26, 2009), cover price $24.95 | About this edition: Many horse trainers, even those who espouse the so-called natural horsemanship approach, take the position that horses who fail to obey a human's request are doing so as much out of perversity as ignorance. 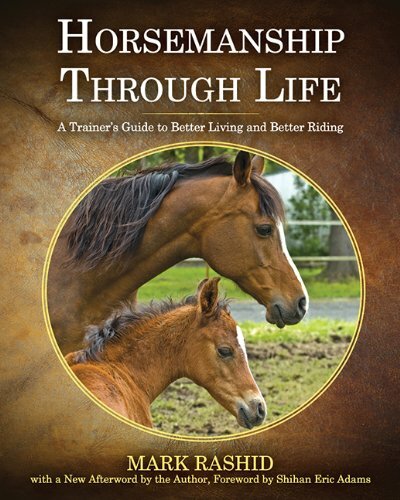 9781628737226 | Reprint edition (Skyhorse Pub Co Inc, July 1, 2014), cover price $19.95 | About this edition: Many horse trainers, even those who claim to follow the so-called natural horsemanship approach, take the position that horses that fail to obey a human's request are doing so as much out of perversity as ignorance. 9781616087463 | Skyhorse Pub Co Inc, June 1, 2012, cover price $24.95 | About this edition: Here is a compelling meditation from renowned horseman Mark Rashid on all the ways that the principles we apply in our dealings with fellow humans can apply to our relationships with our horses, and vice versa. 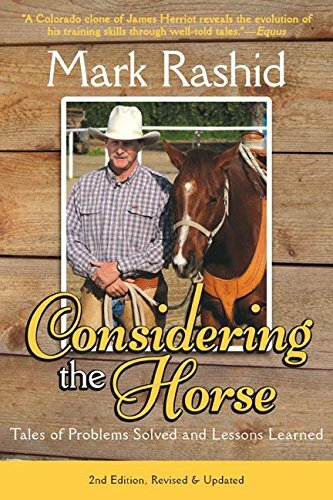 9781616083403 | 2 edition (Skyhorse Pub Co Inc, September 1, 2011), cover price $24.95 | About this edition: In this heartwarming and instructive book of horsemanship, highly-respected horse trainer Mark Rashid shares what he learned from a very special, and very challenging, horse. 9780715318379 | Gardners Books, April 30, 2004, cover price $19.80 | About this edition: Horse trainer Mark Rashid becomes the student when a non-descript horse named Buck steps into his life. 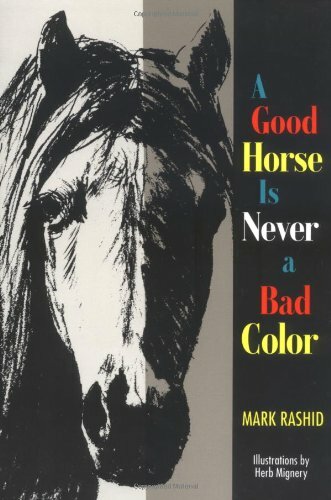 9781616082390 | 2 rev upd edition (Skyhorse Pub Co Inc, August 1, 2011), cover price $24.95 | About this edition: In A Good Horse Is Never a Bad Color, Mark Rashid continues to share his talent for training horses through communication rather than force. 9781616081560 | 2 rev upd edition (Skyhorse Pub Co Inc, October 6, 2010), cover price $24.95 | About this edition: Own an unruly horse? 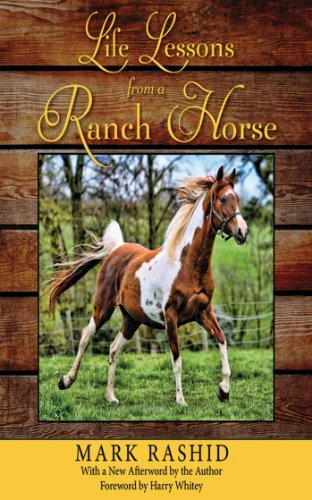 9781628737219 | 2 rev upd edition (Skyhorse Pub Co Inc, July 1, 2014), cover price $19.95 | About this edition: Own an unruly horse? 9780715318386 | Gardners Books, April 30, 2004, cover price $19.70 | About this edition: This title aims to provide quick solutions for resolving training problems from the horse's point of view and covers topics about: ground manners, picking up feet, head shyness, trailer loading, mounting problems, balking and head tossing, stopping the unstoppable horse and more. 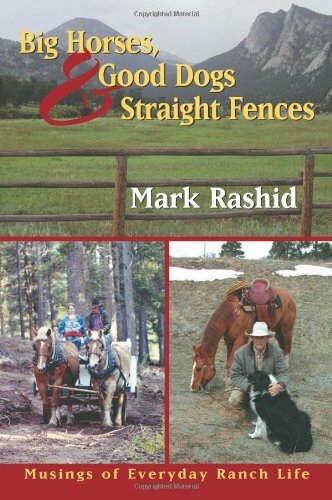 9781555661182 | Johnson Books, September 1, 1993, cover price $17.50 | About this edition: Mark Rashidâs entertaining stories will introduce you to quiet solutions for resolving training problems from the horseâs point of view. 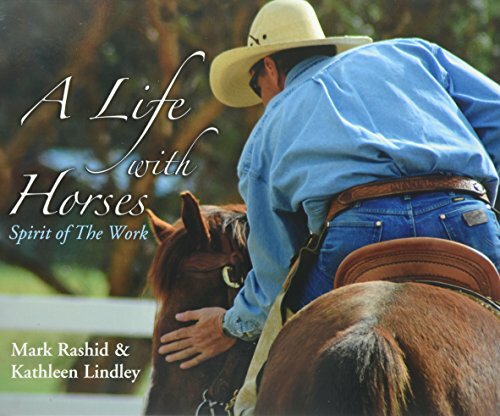 9781555664077 | Johnson Books, December 6, 2007, cover price $27.50 | About this edition: In this beautiful full-color book, popular authors Mark Rashid and Kathleen Lindley team up to provide the reader with an intimate look into a world of horses and horsemanship clinics that few people get to see close up. 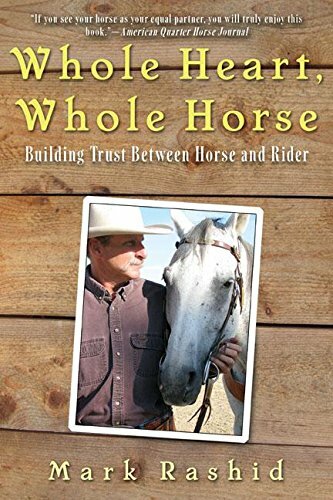 Product Description: These stories tell of Mark's life working on cattle ranches and guest ranches before he became famous worldwide for his work with horses. 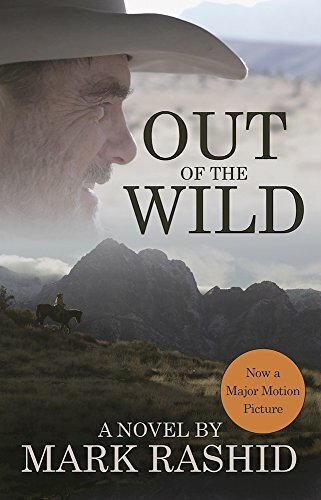 9781555663902 | Johnson Books, October 1, 2006, cover price $17.50 | About this edition: These stories tell of Mark's life working on cattle ranches and guest ranches before he became famous worldwide for his work with horses. 9781555663780 | Johnson Books, April 15, 2006, cover price $16.00 | About this edition: When Rosalie Cooper-Chase joined a veterinary practice in her mid-20s as an assistant, she found her calling. 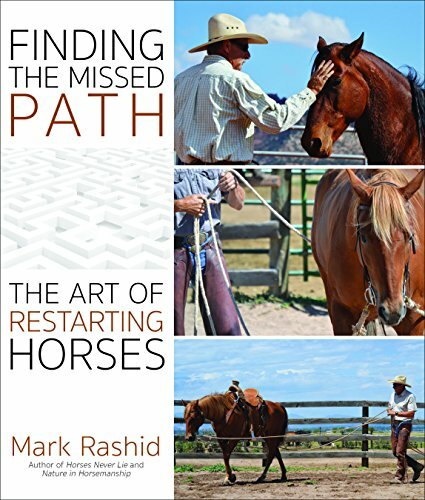 9781555661427 | Johnson Books, February 1, 1996, cover price $17.50 | About this edition: In this follow-up to his first book, "Considering the Horse," Mark Rashid continues to share his gift for using communication, not force, in working with horses.